SeaQuench Ale – (4.9% ABV) A mash-up of a Kölsch, Gose and Berliner Weiss, this hybrid session sour is brewed with lime peel, black limes and sea salt. Objectively the most thirst-quenching beer we’ve ever brewed, it clocks in at 140 calories, 9g carbs, 2g protein and 0g fat per 12oz serving. Tart and refreshing with crisp flavors of lime, lightly bitter notes of black lime and a touch of salt on the tongue, SeaQuench Ale is currently the #1 selling sour beer in America. Namaste White – (4.8% ABV) A zesty, Belgian-style witbier brewed with dried orange flesh and peel, lemongrass, coriander, peppercorns and a dose of good karma. Chock full of aromas of citrus and clove, and subtle hints of coriander, Namaste White offers a balance of citrus and sweet malt flavors, and slightly spicy finish. 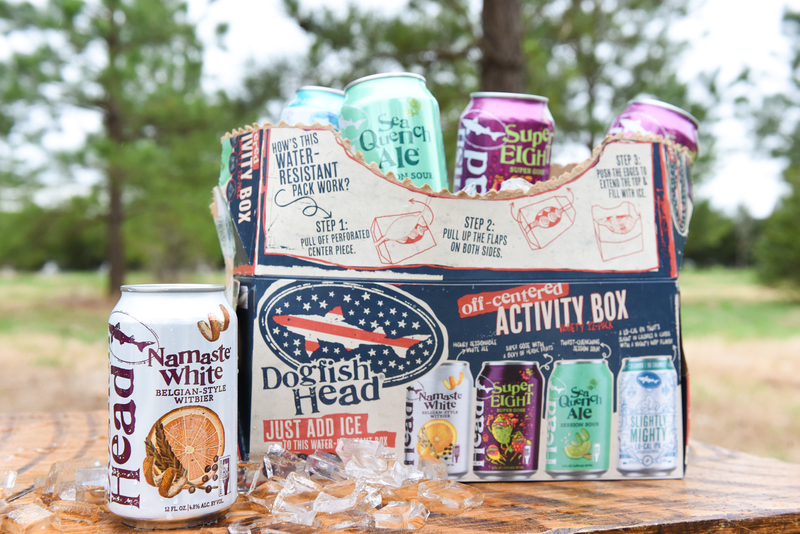 Whether mowing the lawn or relaxing on a boat, pop the top on an Off-Centered Activity Box and celebrate the season with an ice-cold beer. All you have to do is tear open and unfold the box, add ice to the water-resistant, wet-strength paperboard container and enjoy. 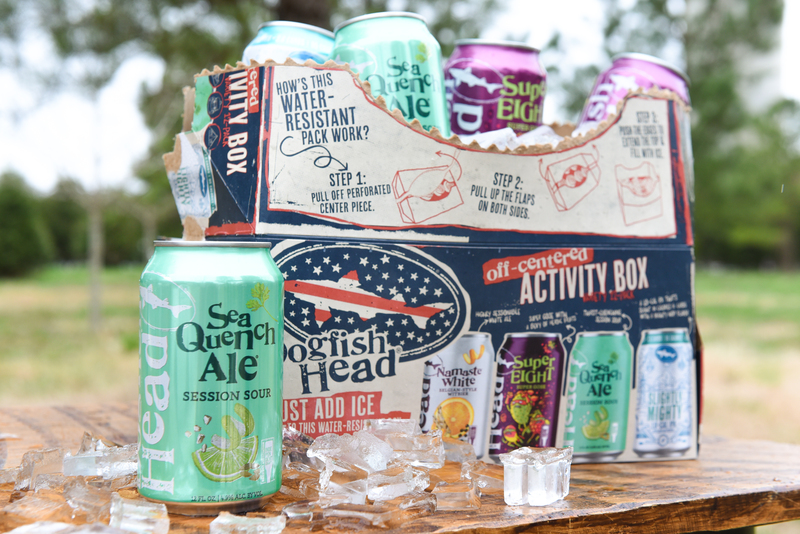 The technology behind the Off-Centered Activity Box allows the carton to hold ice / water for up to six hours – enough time to complete a marathon or host one awesome backyard barbeque! 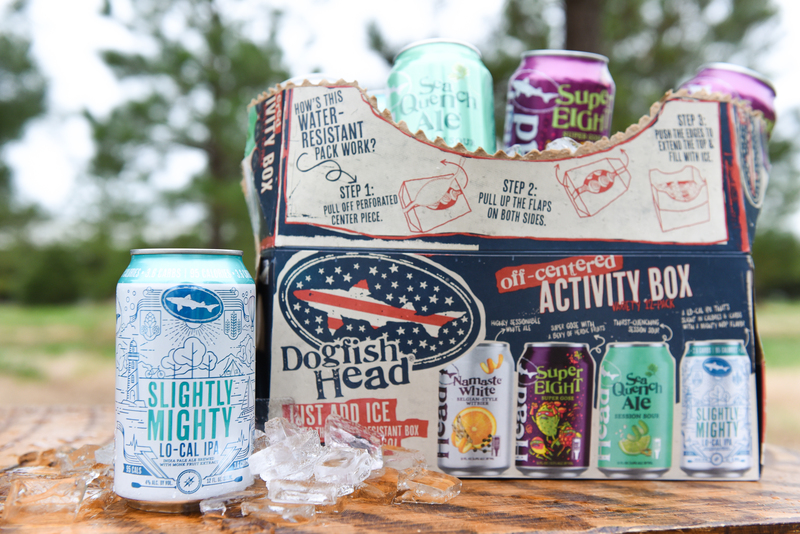 Available at our Milton Tasting Room & Kitchen and Rehoboth brewpub beginning Friday, Apr. 5, with shipping to wholesalers beginning the week of Apr. 8! 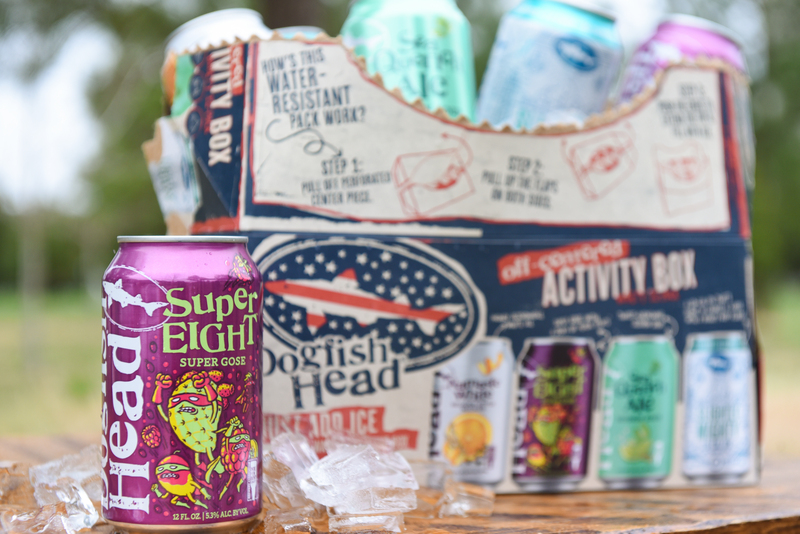 Click here to find a pack in your neck of the woods!